Drawn to kettlebells several years ago by a paleo fitness program and the desire to heal a nagging hip injury from her 200-hour yoga teacher training, Connie was smitten by what she calls the “raw, primal energy” the bells brought her. 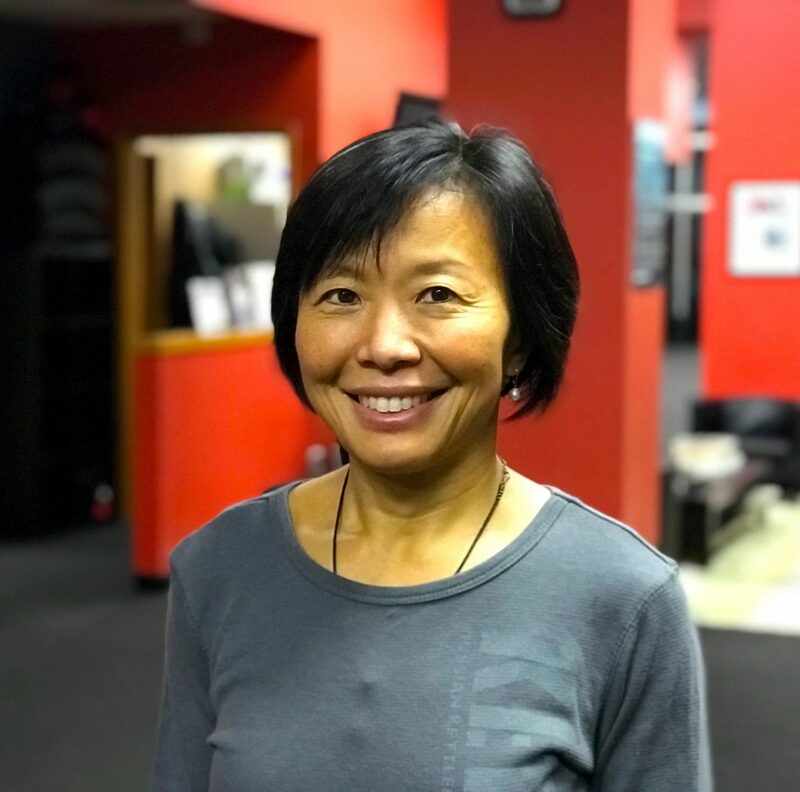 The yogi, a former sprinter and basketball player in her native Taiwan, found herself getting stronger and more drawn to the biomechanics that undergird kettlebell work. This interest in the human body and what makes it tick isn’t so surprising; Connie studied nursing and eventually opted to shift her mission to help people heal into yoga and, now, kettlebell training. When Connie isn’t teaching, she’s out barefoot running, hiking, or hauling her painting equipment up a mountain to make art. Connie says she’s grateful for the supportive, motivating Kettlebility community. And for the physical and mental benefits she gets from kettlebells, from improved posture (we challenge you to find a straighter back than Connie’s!) and running stamina to mental toughness she can apply to life outside the studio. Connie’s certifications include GFM1 and SFG1. 4. Proudest moment: When I see my students’ lives start to transform in a positive direction.